UPDATE: The bonus on the Capital One Spark Miles Card has changed since we first wrote this post. However, you can still find some great uses for using your Capital One miles below. While some sites seem to think the exciting part about credit cards is the simple act of earning a welcome bonus, we think the fun part is figuring out the best ways to get tons of value from these points. Since we just learned that the Capital One Spark Miles Card’s 200,000-mile welcome offer (Learn More) will be ending on January 28, we thought it would be fun to look at some of the great ways to put these miles to work. If you have a small business, stop what you’re doing and pay attention. Yes, the spend requirement is steep if you want to earn the total 200,000 miles but it’s more than worth it if you can. In fact, when you think about it, you’re not just getting 200,000 miles since you will earn 2X on all purchases. Once you’ve spent the $50,000, you’ll earn an additional 100,000 miles which gives you a massive total of 300,000 miles to burn. Or, if you plan on transferring these miles to an airline partner, it’s best to think of it as 225,000 airline miles as you can transfer Spark miles to most partners at a 2:1.5 ratio. I find it helps to think of the Capital One Spark Miles as a card that earns 1.5X airline miles per dollar if you know you want to use the transfer partners. As you can see, there are a ton of great transfer options with a 2:1.5 transfer rate. Additionally, many of these partners overlap with American Express Membership Rewards, Chase Ultimate Rewards, and Citi ThankYou Points. If you don’t have quite enough Captial One miles, you can top off with a transfer from one of these programs. Now that we have a solid understanding of how to earn and where you can transfer 300,000 Spark miles, let’s take a look at some ways you can get big value from your points. If you’ve read our complete guide to booking an Aeromexico SkyTeam Go Round The World Pass, you had to know I was going to lead with this option – it also lets me alphabetize by partner. You can transfer 299,000 Spark miles to Aeromexico to get the necessary 224,000 Club Premier kilometers for an economy class award that will take you around the world. I know, I know, business class is more fun but not everyone is shooting for luxury and this matches up perfectly. I know that’s a lot of time in economy but, if you’re trying to see a ton of countries, this can help you a ton of places along the way. One of the best parts about the Aeroplan program is that you can include two stopovers on a round-trip award which can allow you to easily see three cities with one itinerary. Of course, if you are in Europe, it’s super easy to train to a number of other cities. Similarly, it’s easy to get cheap flights to hop around Southeast Asia. With this in mind, you can use 155,000 Aeroplan miles (207,000 Spark miles) to book a round-trip business class adventure that includes a visit to Southeast Asia and Europe. Two important things to keep in mind when booking one of these. First, Aeroplan will pass on surcharges on some partners. Second, you’ll need to call Aeroplan to include two stopovers. With 93,000 Spark miles remaining, you could book short flights around Asia or Europe and see even more places during this mini around the world trip. Alternatively, you could put the points toward up to $930 in hotel stays. At one point, Flying Blue used a standard region-based award chart but that all changed in 2018 when they removed the award chart and moved to what amounts to a point-to-point chart. Now, you’ll find different award rates between two regions depending on the origin and destination cities. While the removal of the award chart was frustrating, there are some great business class award opportunities. Specifically, you can book a round-trip business class trip from the U.S. to Israel for only 106,000 Flying Blue miles (142,000 Spark miles). If you’re doing the math, this means you can book 2 tickets with 284,000 Spark miles! To top things off, Flying Blue runs monthly Promo Awards — 25-50% award discounts — to/from Europe and considers Israel to be part of Europe. While there’s no way to predict if a city near you will be included from one month to the next or if Flying Blue will discount business class awards, it’s always a good idea to keep an eye out for these opportunities. If you’re flexible with your travel dates and able to book within two weeks of departure, Avianca LifeMiles provides a great way to book Lufthansa first class. Don’t forget that you’ll also get to experience the amazing Lufthansa First Class Terminal (FCT) if flying out of Frankfurt (FRA) which includes a ride across the tarmac to your flight. You might even get a ride in a Porsche. Now, that tough part with booking Lufthansa first class has always been surcharges. Aeroplan requires a very reasonable 70,000 miles for a one-way award but tacks on the steep surcharges. To avoid the surcharges, you could book with United MileagePlus but you’d need an exorbitant 110,000 miles. That’s where Avianca LifeMiles comes into play. It takes the best of both and allows you to book a one-way Lufthansa first class ticket for 87,000 LifeMiles (116,000 Spark miles) and no surcharges — just the standard taxes/fees. I know most people think about using American AAdvantage miles or Alaska Mileage Plan miles to book awards on Cathay Pacific, but don’t sleep on Cathay’s own Asia Miles program. 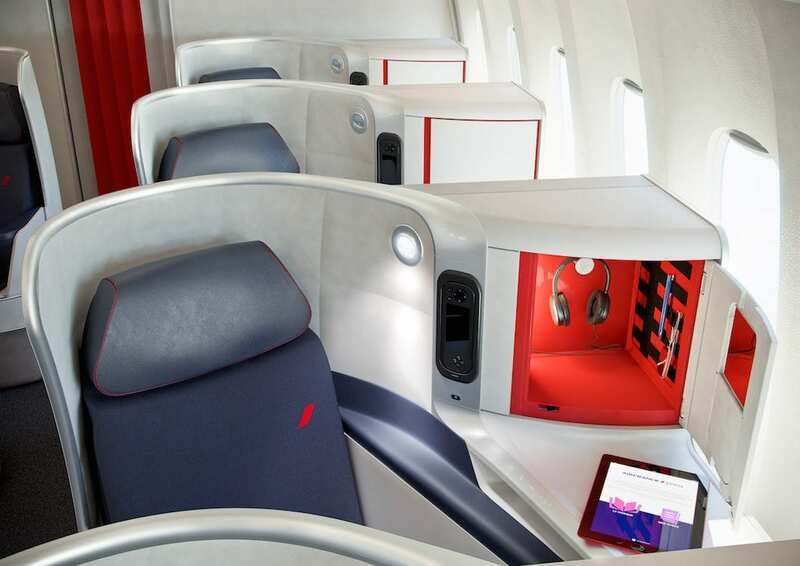 While Asia Miles will require more miles for a business class award to Australia, you can include a stopover in Hong Kong and book up to 355 days from departure. Asia Miles uses a distance-based award chart broken into six tiers. Flying from the U.S. to Australia on Cathay Pacific easily puts the award in the Ultra-Long tier — flights of at least 7,501 miles. This means you’ll need 85,000 miles (114,000 Spark miles) for a one-way business class award to Australia or New Zealand. I don’t know about you, but I’m quite fond of Cathay Pacific business class and its lounges in Hong Kong. The chance to take advantage of a stopover in Hong Kong and enjoy some amazing food just takes this booking to the next level. If there’s an underrated award that I think deserves more attention, it’s using 88,000 Etihad Guest miles (118,000 Spark miles) to fly Royal Air Maroc business class round-trip from New York (JFK), Washington Dulles (IAD) and soon to be Miami (MIA). The best part is that you can connect in Casablanca (CMN) to other destinations in Africa, Europe or the Middle East. Oh, and the fact that you can book for two people and still have 63,000 ($630) to put toward hotels is pretty awesome too. But, seriously, let’s think about this. Business class award space to/from Europe can be tough for two people. That’s where this award comes into play. You might not realize it, but the flight to Casablanca from New York or Washington Dulles is only about 7 hours. Tack on a connection to a city such as Rome (FCO) and you’re only looking at an additional 3 hours. When you think about it, that’s pretty much the same travel time when connecting in Europe. Now, here’s a program you rarely see discussed — EVA Air Infinity MileageLands. While Aeroplan and United MileagePlus get more chatter as great ways to book Star Alliance awards, EVA’s Infinity MileageLands program can come through in a pinch if you want a business class flight to Taipei (or even other parts of Asia). This is because EVA Air often provides an additional business class seat to its own members. If you book a round-trip award to Taipei, you’ll need 150,000 miles (200,000 Spark miles) which is the same as what Aeroplan charges. Even if you were to continue to other parts of Asia on EVA Air, you’d only need 160,000 miles (214,000 Spark miles). I know Qatar Airways Qsuites is the gold standard when it comes to business class, but you really can’t go wrong with EVA Air. Having just recently flown EVA business class, I can’t recommend it highly enough. The service was fantastic and you can’t help but love the Rimowa amenity kit you get when flying out of Taipei. Let’s talk about using Qantas Frequent Flyer miles. While it’s a Oneworld partner, the redemption rates often aren’t competitive and they make you pay surcharges on awards. However, they just might be the best way to try El Al’s Dreamliner in business class. The cabin is very similar to United’s new Polaris business class cabin so every seat is lie-flat and has direct aisle access. You can book this for only 78,000 Qantas points (104,000 Spark miles) and you won’t even have to pay surcharges. While booking a Flying Blue award to Israel might save you some miles, I would be really tempted to try this at least once. If you have other miles to use for flights, you might just need to book hotel stays. With the purchase eraser feature of the Capital One Spark Miles Card (Learn More), you can simply pay for your stay with the card and retroactively apply points to the purchase. While you’ll only get 1 cent per point when doing this, it’s a great way to book cash rates at boutique hotels if you’d like to save your cash for other things on your trip. You can also book cash rates at a hotel where you have elite status so you can enjoy the perks, earn hotel points and earn elite night credits. There are two main things you should know before you apply for the Capital One Spark Miles Card (Learn More). First, while it is a business card, the account will show on your personal credit report. As a result, if you’re still under 5/24 and eligible for Chase cards, this will take up one of your slots so you’ll want to consider that. Second, Capital One pulls your credit report from all three credit bureaus — Equifax, Experian, and Transunion. I think credit pulls can be blown out of proportion but it’s still good to be aware of that before applying. While I know the minimum spend is steep, Capital One is really going to reward you for it if you can hit the spend requirement. When you think about it, the 300,000 Spark miles you’ll earn from spending $50,000 in 6 months means you’ll be earning 6X Spark miles per dollar. That’s an insane return! If you’re looking for a business card and can apply by January 28, I wouldn’t hesitate to grab the Capital One Spark Miles (Learn More). Great tips. You always have some interesting ways and airlines to book. So glad you enjoyed it. Can’t wait to hear how you end up using your new pot of points!